Initial Disaster Relief.President Trump has signed into law a $15.25 billion disaster relief bill in response to Hurricanes Harvey and Irma. The bill combines disaster relief with several other must-pass bills to lift the debt ceiling, extend the National Flood Insurance program, and keep the government open through December 8 with a Continuing Resolution. Of the $15.25 billion, $7.4 billion is for FEMA and $450 million is for the Small Business Administration’s (SBA’s) disaster loan program. The bill also includes an additional $7.4 billion in CDBG Disaster Relief (CDBG-DR) funds and provides HUD Secretary Ben Carson with broad discretion to allocate these resources directly to state and local governments. CDBG-DR funds will help local communities begin the recovery and rebuilding process more quickly. Sandy Relief.Representatives Tom Reed (R-NY) and Bill Pascrell (D-NJ) reintroduced H.R. 3679 to provide disaster-related tax relief, including an increase in Low Income Housing Tax Credits for states impacted by disasters and an increase in New Markets Tax Credits for states impacted by disasters from 2012 to 2015. This bill by Congressman from NY and NJ is intended to create an increased LIHTC and NMTC allocation for communities impacted by Superstorm Sandy. This bill may be expanded to include similar tax relief for states impacted by disasters in 2017. Fannie Mae and Freddie Mac Flyer.Fannie Mae and Freddie Mac have created a joint flyer to use to get the word out about mortgage relief options for those affected by natural disasters, including Hurricanes Harvey and Irma. *Dollars Approved: Assistance dollars approved but not necessarily disbursed. Unemployment Assistance.The Texas Workforce Commission has a special Hurricane Harvey webpage. Texas Legislature.The Texas House Urban Affairs Committee met on September 7, to discuss short- and long-term plans for those displaced by flooding. Governor Abbott will not call for a Harvey-related special legislative session. Repurposing Federal Allocations to Texas.Texas has redirected more than $16 million to help people pushed from their homes because of Hurricane Harvey. $11.5 million comes from repurposed federal dollars. Rainy Day Funds.Some state officials are considering asking the legislature for a 2nd special session to look for alternative state resources, including the use of the state’s Rainy Day Fund. Alternatives to FEMA Trailers. Texas lawmakers urge Governor Abbott to consider an alternative to using FEMA trailers, including the Sheltering and Temporary Electric Power (STEP)pilot program, launched after Hurricane Sandy to pay contactors to make homes habitable so that owners can return while comprehensive renovation work continues. FEMA Looks to Buy Out Flooded Homes. FEMA is working to accelerate buyoutsof repeatedly flooded properties. Only about 55,000 residential buildings in the “high hazard” areas have insurance coverage even though owners are require to have insurance. Houston to Provide Housing:Houston officials are considering leasing a warehouse in east downtown to provide a year of housing for up to 300 Harvey flood victims still sheltered at the George R. Brown Convention Center. The city is working with New Hope Housing. Ending Emergency Shelter.Mayor Sylvester Turner said he hopes to end emergency shelter operations at the convention center sometime next week. Landlords.The Houston Apartment Association is asking area landlords to make units available for publicly-funded interim housing with terms of at least six months. Realtors Website.The Houston Association of Realtors has launched a website to help people find short-term housing. Past Presidents.All five living former presidents of the United States have launched a joint effort to raise money for relief following Hurricane Harvey. There are 42 public housing agencies, with 773 properties containing 199,494 public housing units in the Hurricane Harvey impact area. There are 454 Multifamily properties containing 50,818 units, 20,971 of which are assisted. The Office of Public and Indian Housing (PIH) field staff are in regular contact with affected Public Housing Authorities (PHAs) to gather information on families displaced, units available for leasing, and impacts to properties. As data is available, it is entered in the daily and weekly reports to HUD Headquarters. All PHAs have been advised of flexibilities PIH can offer, such as postponed physical inspections and reporting extensions. The Office of Lead Hazard Control and Healthy Homes (OLHCHH) advises that CDBG-DR funds be used to provide financial support for the development of an environmental health and housing registry. HUD’s Office of Policy and Research is working with FEMA to facilitate information transfer that will allow HUD to identify the assisted housing residents in FEMA shelters and hotels. This will allow HUD to coordinate with grantees to get those families rehoused. Information on persons with Housing Choice Voucher assistance will be delayed because PHAs need time to assess the habitability of all privately-owned rental properties. PIH will report any relevant information as it is received. HUD assisted persons are being told by other agency staff that they are not eligible for FEMA assistance and should go through their PHA for assistance. HUD Multifamily Call.Janet Golrick, HUD Senior Advisor (and long-time Multifamily career staff person) and Bob Iber, Acting Deputy Assistant Director conducted a call for stakeholders on Friday afternoon, September 8. 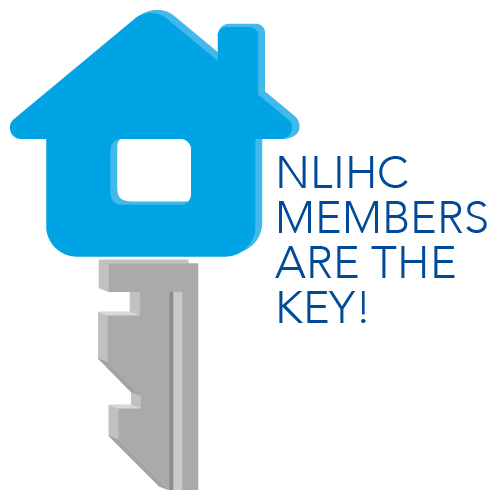 NLIHC participated on the call. The calls will be biweekly, with a goal of HUD and stakeholders sharing relevant information and raising concerns or questions. Based on phone calls with owners, HUD estimates that about 200 properties have moderate-to-severe damage. HUD staff will start on-site visual inspections starting Monday, September 11, initially focusing on the Corpus Christi area, with some inspectors also beginning to make inspections in the Houston area. They anticipate inspections will take 3-4 weeks to complete. HUD staff has been looking for vacant units and sharing that information with FEMA. FEMA has been surveying people at shelters. The survey has a question asking whether the household is HUD-assisted; however, some people may not know that their property is HUD-assisted. Multifamily is also using its TRACs system to figure out the names of assisted residents and compare that list to FEMA’s list of registrants for disaster assistance. Their goal it to identify any HUD-assisted households staying in hotels, shelters, or the convention center to place them instead into any vacant units they can identify. They will also identify HUD-assisted elderly households and/or people with disabilities and prioritize them for available accessible units. REAC and MOR (management and occupancy reports) inspections will be on hold for 90 days in Texas and Florida. HUD will resume REAC and MOR activity in Louisiana. Based on its early assessments in Lake Charles, Louisiana and surrounding areas, none of the HUD-assisted Multifamily stock encountered damage. HUD is expediting its reserve for replacement procedures. In answer to a question about where else HUD may look to house residents displaced from HUD-assisted housing, they referenced the ‘pass-through’ option described in HUD Handbook 4350.1 REV-1, CHG-2, “Multifamily Asset Management and Project Servicing,” Chapter 38: Multifamily Emergency/Disaster Guidance. One of the relevant provisions allows the owner of property A to identify another property, B, and pass property A’s subsidy to property B on a temporary basis while property A is being renovated. Regarding Hurricane Irma, HUD affiliated owners in Puerto Rico have already reported some damaged properties. HUD is reaching out to all HUD affiliated owners and managers in Florida, in anticipation of a need to quickly assess damage in the state next week. Secretary Carson Interviews.Secretary Carson has given a series of interviews on recovery efforts. Disaster Recovery Centers.Five more Disaster Recovery Centers were opened: Goliad, Ingleside, Missouri City, Port Lavaca, and Victoria. FEMA Orders 4,500 Trailers.FEMA is ordering 4,500 manufactured housing units. Low Income Housing Tax Credits.Mississippi, Ohio, and Oregon join other states in allowing owners of Low Income Housing Tax Credit (LIHTC) properties to provide up to twelve months of emergency housing to households that have been displaced by Hurricane Harvey, even if they are not income-eligible. IRS Revenue Procedures 2014-49 and 2014-50provide guidance. AirBNB.The company is offering free lodging to help residents weather the impending disaster of Hurricane Irma. Developers Prepare for Irma.Affordable housing developers are making preparations for their residents in Florida, Puerto Rico, and the Virgin Islands. Miami-Dade County Shelters.Shelters are already beginning to get filled up, before the storm hits land. Hurricane Matthew.Many people in Irma’s path have not fully recovered from Hurricane Matthew, which struck last year. Presidential Disaster Declaration for U.S. Virgin Islands.President Donald J. Trump declared on September 7 that a major disaster exists in the territory of the U.S. Virgin Islands and ordered federal aid to supplement recovery efforts in the territory due to Hurricane Irma beginning on September 6, 2017, and continuing. This makes federal funding available to affected individuals in the islands of St. John and St. Thomas. FEMA has a webpage for Virgin Islands Hurricane Irma (DR-4335). William L. Vogel has been named as Federal Coordinating Officer for federal recovery operations in the affected area. Presidential Emergency Declaration for Florida.President Trump declared on September 5, that an emergency exists in Florida, authorizing FEMA to coordinate disaster relief efforts. Specifically, this authorizes FEMA to provide debris removal and emergency protective measures (Categories A and B), including to direct federal assistance, under FEMA’s Public Assistance program for all 67 counties. FEMA has a webpage for Florida Hurricane Irma (EM-3385). Justo Hernández was named Federal Coordinating Officer for federal recovery. Presidential Emergency Declaration for Puerto Rico. President Trump declaredon September 5, that an emergency exists for the Commonwealth of Puerto Rico, authorizing the Federal Emergency Management Agency (FEMA) to coordinate disaster relief efforts. Specifically, this authorizes FEMA to provide debris removal and emergency protective measures, including direct federal assistance, under FEMA’s Public Assistance program for all 78 municipalities. FEMA has a webpage Puerto Rico Hurricane Irma (EM-3384). Alejandro DeLaCampa was named the Federal Coordinating Officer for federal recovery operations in the affected areas. Presidential Emergency Declaration for South Carolina.President Trump declared on September 7, that an emergency exists in South Carolina, authorizing the Federal Emergency Management Agency (FEMA) to coordinate disaster relief efforts. Specifically, this authorizes FEMA to provide debris removal and emergency protective measures, including direct federal assistance, under FEMA’s Public Assistance program for all 46 counties and the Catawba Indian Nation. FEMA has a webpage for South Carolina Hurricane Irma (EM-3386). Willie G. Nunn was named as Federal Coordinating Officer for federal response operations in the affected area. Presidential Emergency Declaration for Georgia.President Trump declared on September 8, that an emergency exists in Georgia, authorizing the Federal Emergency Management Agency (FEMA) to coordinate disaster relief efforts. Specifically, this authorizes FEMA to provide debris removal and emergency protective measures, including direct federal assistance, under FEMA’s Public Assistance program for the counties of Appling, Atkinson, Bacon, Brantley, Bryan, Bulloch, Burke, Camden, Candler, Charlton, Chatham, Clinch, Coffee, Echols, Effingham, Emanuel, Evans, Glynn, Jenkins, Jeff Davis, Liberty, Long, McIntosh, Pierce, Screven, Tattnall, Toombs, Treutlen, Wayne, and Ware. FEMA has a webpage for Georgia Hurricane Irma (EM-3387). Thomas J. McCool was named as Federal Coordinating Officer for federal response operations in the affected area. Housing Counseling:The Office of Housing Counseling is encouraging all housing counseling agencies impacted in Puerto Rico, Florida, and the surrounding region to review the Hurricane Resource Page for Housing Counselors and the Housing Counseling Disaster Recovery and Emergency Preparedness Toolkit located on HUD Exchange. It contains disaster recovery and emergency preparedness resources specifically for housing counseling programs. The toolkit provides immediate access to Disaster Recovery Flyers, the Housing Counseling Disaster Program Guide and other HUD, FEMA, and other helpful resources. ICE Detainees.In the same DHS statement, Immigration and Customs Enforcement (ICE) detainees from the Krome Detention Center, Monroe County Jail, Broward Transitional Center, and Glades Detention Center are being temporarily transferred to various other detention facilities outside the projected path of the hurricane.